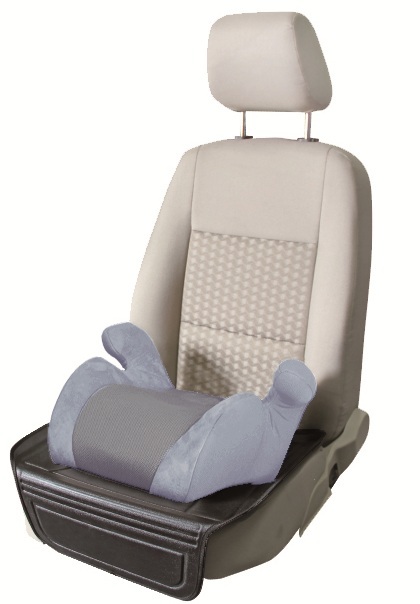 This Jolly Jumper Deluxe Car Seat Mat has a hard contoured base ideal for containing messy spills. 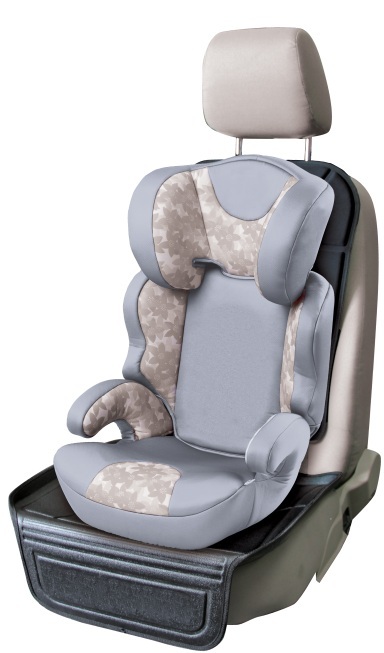 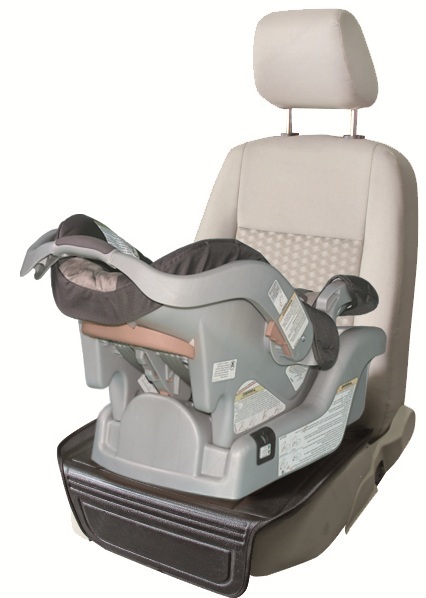 The detachable back is perfect for transitioning to a booster seat. 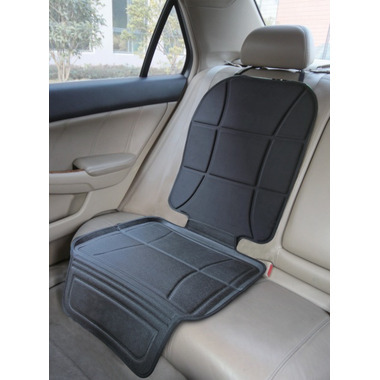 The anti-skid material provides additional safety and protects your car upholstery.